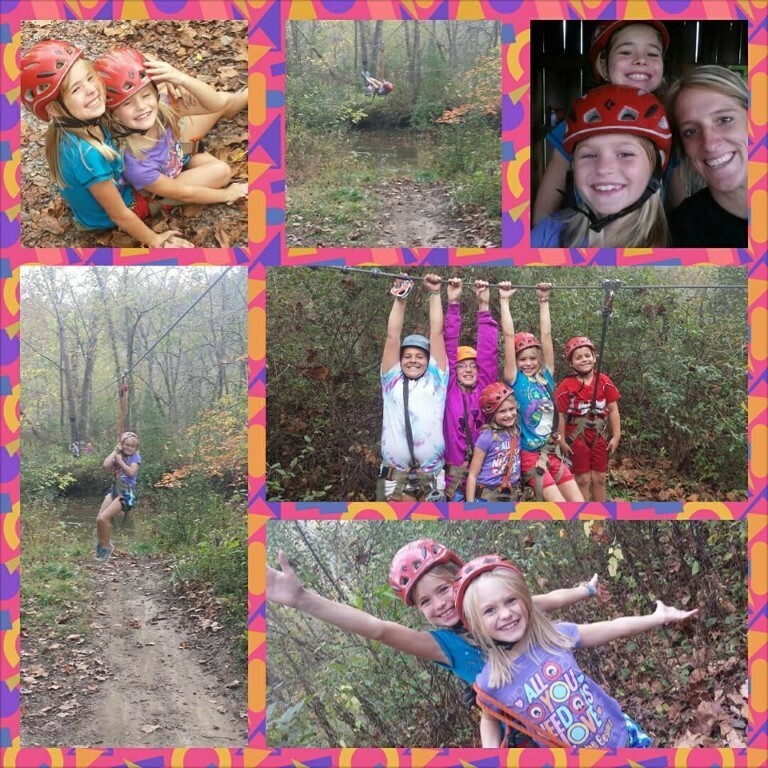 ﻿ Adventure Creek - Ohio. Find It Here. 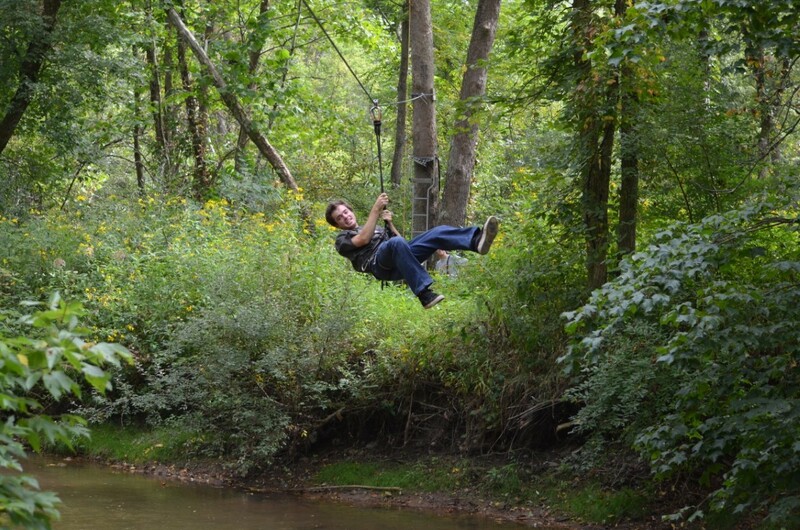 Adventure Creek is an aerial trekking park in Southeastern Ohio. We have been established for 10 years and its been a tremendous success for our community and surrounding area. 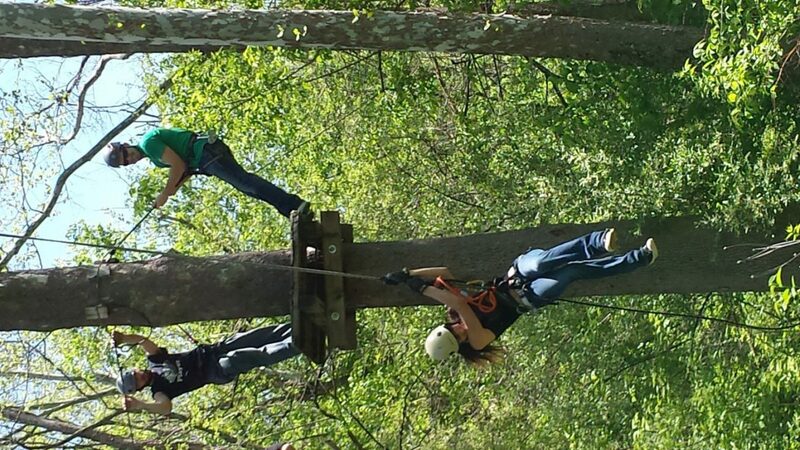 The service we provide encourages self-confidence and team building. It can be challenging or relatively easy depending on what courses people choose. The price includes all courses. All harder obstacles are optional. 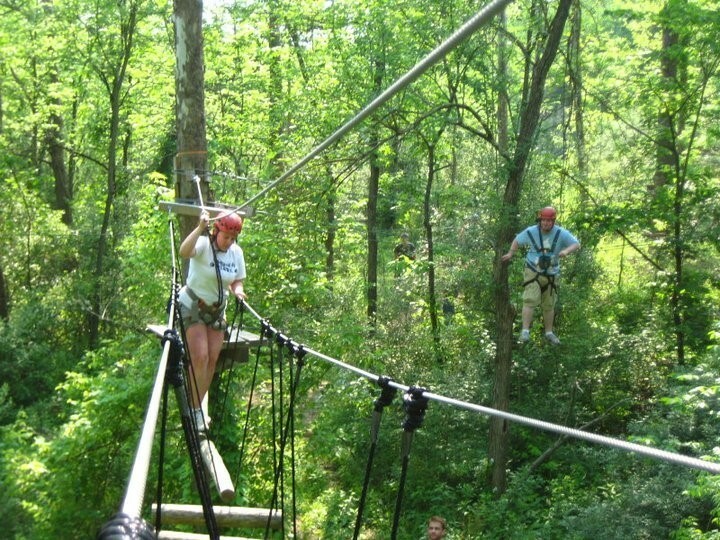 We accommodate couples to large groups, plan on 3 hours to complete, and tours are guided. An adult should accompany children under 12. There is a trail underneath the courses for people who just want to watch their family or friends. We have picnic tables and a porter jon on-site for your convenience. 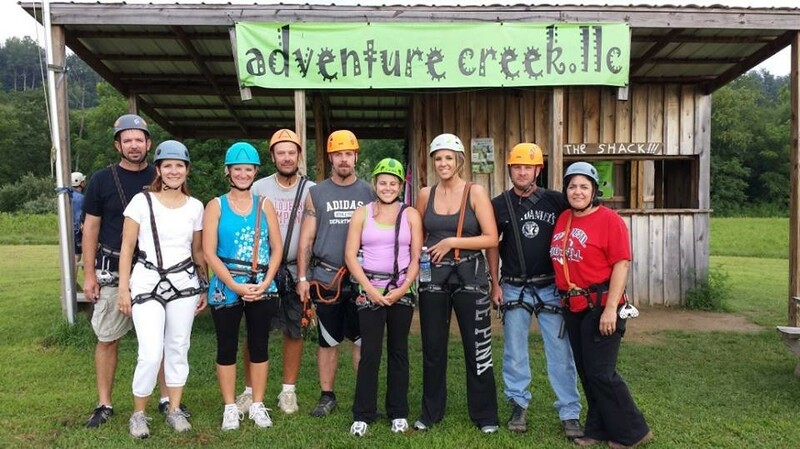 All groups are guided and Adventure Creek meets and exceeds all safety standards set forth by the Challenge Course and Aerial Trekking Park Industry. 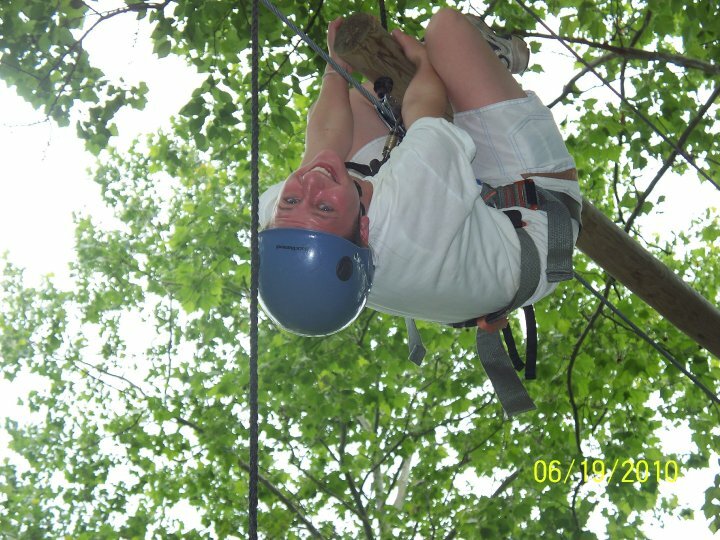 Our team looks forward to providing a fun and safe adventure for all our participants, so come hang with us! At this time, reservations are required by phone or email. All participants or their legal guardian are required to sign a waiver. Our season is from April 15th through October 21st. Adventure Creek staff reserves the right to postpone or cancel a group due to severe or inclement weather. Our facility is open Thursday through Sunday, 10 am until dark, and our last tour usually leaves at 4pm or 5pm depending on daylight. Prices are as follow: $37.50 per adult, $32.50 under 18, $22.50 under 12.